Combining the minds of a group of players to build creations and explore new grounds is what makes the best experience in Minecraft Pocket Edition. One individual has to be the server host and in this tutorial we are covering all the obstacles you will come across assuming you have never done this before. Let's get focused and start! PocketMine is a free server software created by the community and not officially endorsed by Mojang. Download the appropriate version of the software based on what operating system you are using from the official official PocketMine website. Click the downloaded file to launch the installer. 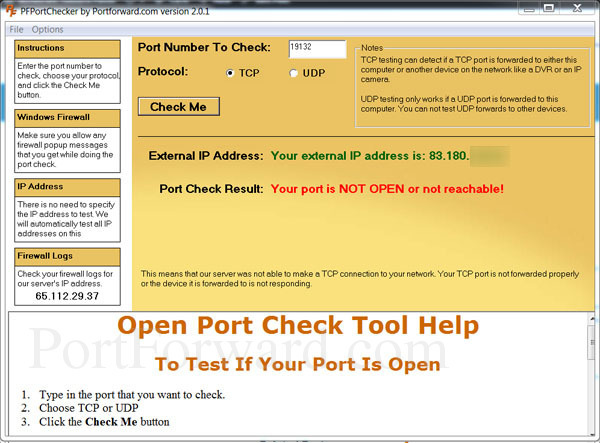 We recommend you to use our Open Port Checker Tool. There are similar tools out there on the web but currently we can attest to our tool is the one giving the most reliable answer. It is also incredible easy to use. If you received the same port check result to the one we got in the image above then it means you need to continue this tutorial. 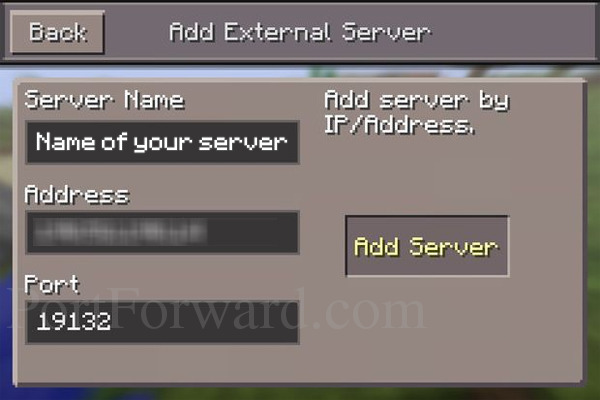 This is necessary as long you want people outside your own local network connection to be able to connect to your Minecraft Pocket Edition server. Port forwarding is easy to do with the well written and researched guides and tools we are offering here at PortForward.com. There are two possible ways for you to choose from. Use our index of routers to search the necessary port forwarding information given there. Download our PFConfig software which will do it for you. Getting our software comes with a 100% satisfaction guarantee. If the software can't do it, we will do it for you! The first time you launch your Minecraft Pocket Edition server you will have to go through a short installation process in the Command Prompt. A couple of new files are automatically created upon the first launch. You can change basic settings such as the name and the player limit in the server.properties file. For changes to go live on your server save the server.properties file and restart your server. To make major changes of the game there are countless of plugins you can download for free over at PocketMine's forum. Finally your server is up and running. Launch the Minecraft Pocket Edition app. Tap on the option to add an external server and enter your external IP Address (can be found in the top right corner of this web page) and port (19132 by default). How can Others Find my Server? Other people doesn't automatically find your server unless you give them the option to find it. To do this you should submit your server to every server list and build a welcoming server with useful plugins. Here we will show you how to add your server to one of the largest server lists. First, head off to MCPEIndex.com and sign up for an account. 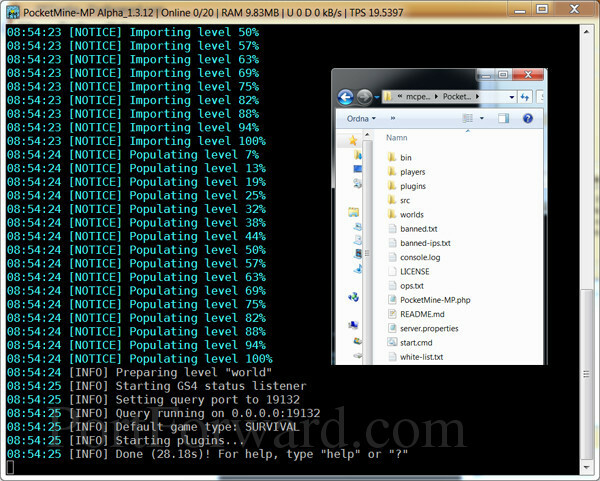 Click the option to add a new server and enter your external IP address and port. Go to the start page and sort the list by registration date and your server will appear in the top. As more players join the closer to the top of the main list will your server get!